The Middle East Policy Council convened its 86th Capitol Hill Conference on Thursday, October 13. “The Middle East and the Next Administration: Challenges, Opportunities and Recommendations” provided the public with varied perspectives on how the next U.S. president should approach the region’s most intractable problems, including the Israeli-Palestinian conflict, the civil wars in Syria and Yemen, and Iran’s role in the Arab world. The four-person panel offered their expertise as former government officials and active members of civil society through multiple prior U.S. administrations. Richard J. Schmierer (former U.S. Ambassador to Oman; Chairman of the Board of Directors, Middle East Policy Council) moderated the event and Thomas Mattair (Executive Director, Middle East Policy Council) was the discussant. The panelists included Chas W. Freeman, Jr. (Former Ambassador, Saudi Arabia); Ilan Goldenberg (Senior Fellow & Director, Middle East Security Program, Center for a New American Security); James Zogby (President, Arab American Institute); and Gerald F. Hyman (Former Senior Advisor and President, Hills Program, Center for Strategic and International Studies). Ambassador Freeman projected that political gridlock will continue to plague the next U.S. president, and that he or she will likely double down on the current militaristic policy in the region at the expense of greater diplomacy. Ambassador Freeman suggested that the current U.S. role in Syria is merely a “feel good” posture, as it allows the U.S. to claim to be doing something when in fact the current administration has no coherent Syria policy. He shared a similar view on Iraq, arguing that U.S. policy there needed a “hard scrub” but would likely continue without much substantive review. In terms of prescriptions, Ambassador Freeman advocated cutting off overt and covert aid to all groups in Syria and advising other external actors to do the same. Without the fuel of arms and other support from the outside, he argued, diplomatic progress would stand a greater chance of success and tensions between Saudi Arabia and Iran might even subside somewhat. Mr. Goldenberg emphasized the danger posed by various security vacuums in the region, particularly as they combine with proxy wars that are well funded and armed by regional actors. The perception that the U.S. is pulling back from the region contributes to the combustibility of these various pockets of instability, Mr. Goldenberg argued. However, he was skeptical that the next U.S. president should fully de-escalate from the primary conflicts in the region. Instead, he argued for a role for the U.S. to fill these security vacuums, particularly in Syria and Iraq, by articulating better which groups are U.S. partners and then backing them more aggressively as forces on the ground to advance stability. In addition to bringing more stability to the region, this approach could reinforce confidence among allies that the U.S. remains a committed actor. It could also give the U.S. more leverage to ask its allies to modify their behavior. Mr. Zogby underlined the lessons of the Iraq war: that a surge in U.S. military power does not necessarily translate to lasting security gains in the Middle East. The reconfigured landscape after the Arab Awakenings suggests even less of a constructive role for a large U.S. military presence in the region. Mr. Zogby emphasized the need to get serious about changing behavior: by punishing Israel for new settlement activity by reducing their foreign aid package; by helping to extract Saudi Arabia from the war in Yemen through greater assurances that the U.S. will guarantee their security; and by acknowledging that U.S. credibility in Syria may be too low to be a constructive broker there. He also urged restraint in cases like Mosul, where the U.S. might slow down the advance to reclaim the city until Iraqi forces are at a point where they have the numbers and competency to hold it. Mr. Hyman divided the region into six types of countries, mirroring their categorization on the widely referenced Fragile States Index. His point was to illustrate the diversity of country profiles in the region, and how these differences could inform U.S. policy in the future, particularly as these states convulse and interact with one another. One novel suggestion that Mr. Hyman emphasized was that the U.S. should focus more on states like Jordan, Tunisia and Egypt that are relatively stable, with the goal of bolstering their ability to resist discord and disintegration in the future. He also advised policy makers in the next administration to look carefully at the borders in the region, identifying instances where political empowerment of some groups might serve to stabilize the country overall. The full video from the event is already available on the Middle East Policy Council website. An edited video by speaker, including a full transcript from the event will be posted in a few days at www.mepc.org and published in the next issue of the journal Middle East Policy. 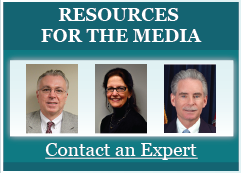 For members of the media interested in contacting these speakers or other members of the Middle East Policy Council’s leadership, please email mepc.press@gmail.com.